Ottis Gibson has no concerns over South Africa's top order ahead of the Test series against Pakistan after the likes of Hashim Amla endured a torrid time in Sri Lanka. Amla, Dean Elgar and Aiden Markram failed in a 2-0 Test series whitewash against Sri Lanka in July. Proteas head coach Gibson is confident the trio can put that behind them in a three-match series against Mickey Arthur's side, which gets under way on December 26. There is no concern with regards to them," said Gibson. "What happened in Sri Lanka has no relevance here even though Pakistan may choose spinners. Here in South Africa‚ wickets don't spin as much as they do in Sri Lanka. "Aiden scored 1,000 runs last year and he is back in familiar home conditions. With regards to Dean‚ he is an absolute street fighter. He is always close to hitting a double-hundred and that is fantastic." said Gibson. 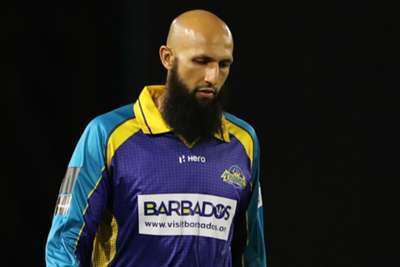 "Coming to Hash [Amla]‚ he has been carrying niggles that have not allowed him to do the things that he wanted to do. "For him, it is to get back to the nets and work on the things that he needs to work on‚ but he is an experienced player for us. "He has had dips in form but he knows what he needs to do. I have spoken to him since I arrived in the country on Wednesday night and he will be desperate to get back into action. I have no concerns about them." Pakistan head coach Arthur feels his batsmen can be more effective outside of the United Arab Emirates as they attempt to show a positive response to a series loss to New Zealand. "I'll make a statement now, that our young batting group now bat better outside the UAE than they do in the UAE." said the former South Africa head coach. "There's some very talented young batsmen there. They don't stand on leg stump anymore. Our batsmen get to off stump, they cover the bounce, they cover the pace and they cover the swing. "And they play very well in these conditions."